Find out what we're up to here! Reflecting on their company vision, Coburn Technologies’ ongoing efforts to give back has recently included a mission to the Dominican Republic where they provided vision care in the community of Maimon. 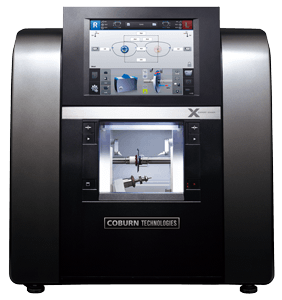 Coburn Technologies, Inc. is pleased to introduce their latest finishing product; HPE-8000X, The Exxpert Edger. HPE-8000X is the successor to the current model, HPE-8000, and now provides a multitude of new features including 11 different lens edging finishes, step bevel cutting, six different edging positions, and many more. 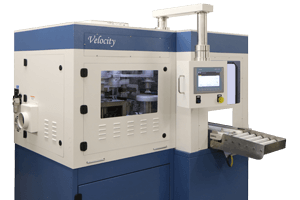 Coburn’s new Velocity Coater is a fully automated industrial hard coating system providing the highest throughput of any system on the market while also delivering excellent yields. The automation system includes a multi-stage pre-cleaning system as well as lens handling from the job tray, through a multi-stage lens pre-cleaning system, followed by a secondary cleaning system, coating, and cure, finally returning the lens to the job tray. All of this is accomplished without operator involvement. Coburn Technologies will begin selling the complete range of Kowa’s diagnostic products in the US on September 1. 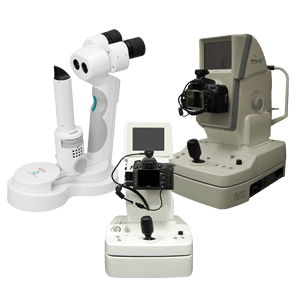 Included in the Kowa diagnostic line are the Nonmyd WX3D Retinal Camera, the Nonmyd 7 Fundus Camera, and the HA-2 Applanation Tonometer. 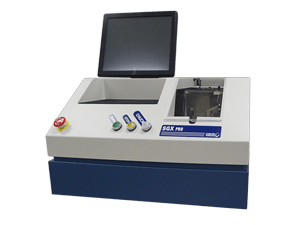 “The 9000 series offers several key features not available on any other product on the market. Blue Light is an increasingly growing concern. 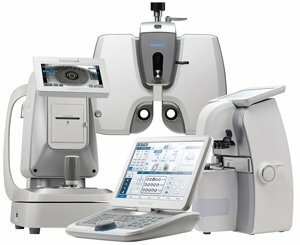 Meibomian Gland Analysis and Tear Film Break Up Time are useful tools for the Eye Care Professional,” Alex Incera, president of Coburn Technologies stated. 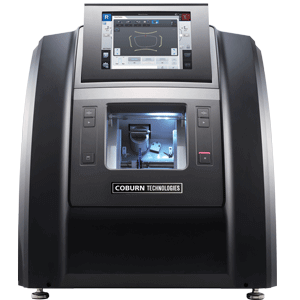 Coburn’s new HPE-810 Edger is designed to create a more efficient practice for utilizing better graphics and processing times. Detailed images of bevel/groove positions provide the user with a more accurate look while faster processing signifies the ability to modify the next job while a current job is under way. A feature new to the website is the ability to chat with a Coburn Technologies representative. An eager and friendly customer service staff is readily available to answer any and all questions. Customer Service staff will be available Monday thru Friday, 8am to 6pm Eastern Standard Time. The SGX Pro is the fourth generation of the SGX series of generators and is one of the most popular lens generators in the world. Known for its reliability and impressive performance, SGX Pro has one of the widest curve ranges on the market and has been proven to provide the same dependability and accuracy of earlier SGX models. 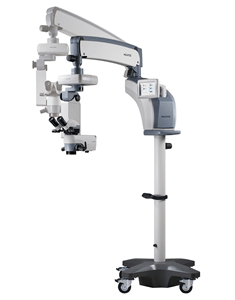 More than any other surgical microscope system, the HOM-700 streamlines all surgical workflow and maximizes surgery efficiency. This state of the art product has a smooth system handling and superior performance with an optical system that is unequaled. It has high resolution imaging for improved visuals and enhanced ergonomics to improve comfort and performance. 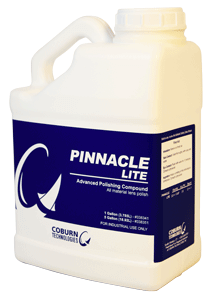 Coburn’s new Pinnacle Lite Polish is a proprietary product, exclusive to Coburn Technology, developed with advanced chemistry and premium ingredients. Its unique formulation is unlike any optical polishing slurry on the market today. It is qualified for use on all conventional equipment, all non-mineral materials and all surfaces. Pinnacle Lite Polish provides unmatched features and premium performance at an extraordinary value.